CNN announced Wednesday that it will broadcast a prime-time town hall interview on February 12 with potential-but-not-officially-declared independent presidential candidate Howard Schultz, to be conducted by Poppy Harlow. The announcement was promptly ratioed on Twitter, and subject to sustained criticism from a curious source: journalists. "Is @CNN consciously making the same mistake as in 2015-16 when it gave endless air time to Trump, down to fixing a camera on his idle plane, and starving opponents of deserved attention?" wondered former New York Times correspondent Clyde Haberman. "Schultz is rich, that's all. He's done nothing to merit this attention." "This seems like a dubious decision," judged FiveThirtyEight numbers man Nate Silver. "A lot of other candidates are far more popular and/or more likely to become president than Schultz, but have received far less airtime. He's also not even officially a candidate yet. And he's not very well-informed on public policy." "This giving air time to rich folks who think it might be fun to run for president thing is how we ended up with #Trump," concurred CUNY Newmark Journalism School Associate Professor Lisa Armstrong, adding: "#media #fail." More like that from Soledad O'Brien, Matthew Yglesias, and so on. 1) No, Schultz is not, and will not be, anything like the 2020 equivalent of 2015–2016 free-media king Donald Trump. CNN and the other cable networks did indeed give "endless air time to Trump" last cycle, as Haberman says, but that's because Trump was a famous television star and oxygen-gobbling business tycoon who was saying and doing and proposing things that no one had ever really seen on a presidential political stage before. Viewers couldn't look away. As CNN President Jeff Zucker said in October 2016, "If we made any mistake last year, we probably did put too many of his campaign rallies in those early months and let them run....Listen, because you never knew what he would say, there was an attraction to put those on the air." 2) No, Schultz has not "done nothing" to merit media attention outside of getting rich. As has been evidenced by cable news ratings the past four years, bestseller lists the past two, and midterm turnout numbers last November, Americans are way keyed up about national politics right now. The early above-average interest in Schultz—and as critic Jack Holmes freely acknowledges in Esquire, "Not much of that coverage has been positive"—may well be correlated with what CNN's Harry Enten characterizes as "the unusually high percentage of Democrats who are prioritizing winning the general election than finding a candidate who agrees with them on the issues." Which is to say, Schultz might earn CNN some hate-watch ratings from viewers straining at the leash to take a bite out of Trump. Schultz is not just some rich rando musing out loud about being a fantasy independent centrist without having thought through the problem for more than a few seconds. He's a rich rando independent centrist who has expressed willingness to spend up to half a billion dollars on the effort, and (per The Washington Post) "secretly undertook a months-long effort to prepare an independent presidential campaign against the nation's two-party political system, deploying more than six national polls and laying the groundwork for paid advertising that could debut in the next two months." 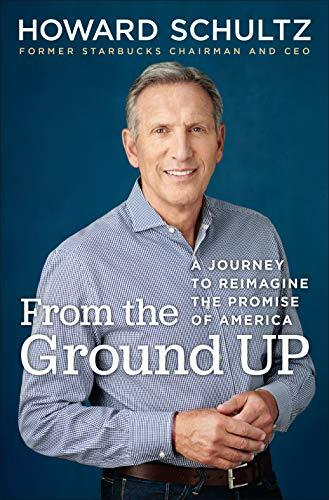 For sure, it's Schultz's wealth that put him in position to consider a wallet-draining run against a two-party edifice designed to thwart all nonconformists. But there's a reason why only one other billionaire outsider—Ross Perot—has ever gone through with it: The fundamentals of such a challenge, particularly in a highly charged partisan moment like ours, are terrible. If Schultz takes the plunge, that's one helluva of man-bites-dog story. Ah, but shouldn't those bad fundamentals steer cable networks away from providing coverage? I vote no. 3) Political journalists are poor judges of deciding which candidate doesn't have a chance. How many publications were predicting nine months ago that the Democratic Party's most compelling star would be a stylish young socialist from the Bronx? 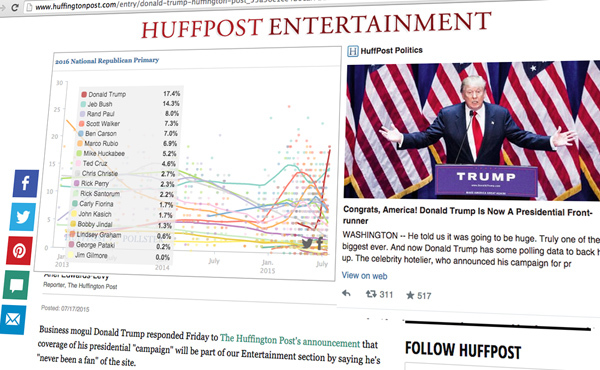 Remember when The Huffington Post noisily announced that it would only cover candidate Donald Trump in the entertainment section? The rise of Trump and Ocasio-Cortez illustrate a point that is still poorly understood. Yes, the two-party arrangement of American politics is maddeningly strong, but the parties themselves are remarkably weak, vulnerable to local and even national takeovers by ideological insurgents. This makes for a dynamic, unpredictable electoral playing field. Critics of both Schultz and the journalists who cover him are correct that the plurality of Americans who call themselves "independents" in fact tend to vote along partisan lines, but they're wrong to ignore that that same cohort is still more likely to switch teams or vote for third parties. And if we are going through some kind of ideological realignment, which is possible if not likely, then the role of nontraditional parties and politicians could easily prove greater than currently projected. Or not! You'd think that the experience of 2016 would generate more humility among political prognosticators. In reality, much of the media thumbsucking about 2016 lessons learned has been of the dreary we-should-have-gatekeeped-harder variety, which if nothing else seems an odd response to an election marked by expressed anti-elitism. One great recent example to the contrary of this commentary is this Michael M. Grynbaum piece in The New York Times surveying political reporters and a bunch of contrarian thinkers—Steven Pinker, Susan Fiske, Nassim Nicholas Taleb—about the internal journalistic challenge of questioning one's own assumptions, particularly when they align with conventional wisdom. "It's not that journalists missed the signs of Trump's rise," Taleb says there, "it's that journalists and the rest of us were not well equipped to understand the future." I'll say. February 2019 feels a tad premature to declare just about any presidential campaign DOA, even Pete Buttigieg's or John Delaney's. Individual news organizations have to prioritize, and that's always going to be a series of judgment calls—declared candidates are generally ahead of exploratory-committee formers who are generally ahead of still-thinking-about-its, but that doesn't mean Andrew Yang is above Beto O'Rourke, or that anyone has any earthly idea what to do with John McAfee. 4) Let the political media competition bloom. You know what one nickname for this Democratic campaign season is? The Colbert primary. CBS's Late Show with Stephen Colbert is where Sen. Kirsten Gillibrand (D–N.Y.) kicked off her exploratory-committee phase, which was followed by an interview with MSNBC's Rachel Maddow (who was not, as far as I can tell, criticized for giving air time to an unofficially announced candidate). Presidential hopefuls see prime opportunities in late-night anti-Trump comedy, and even high-listener podcasts. In fact, the more specialized corners of the political/media press has been producing interesting analyses of how candidates are taking advantage of a diverse media landscape this cycle. "The days of a traditional launch rally are mostly behind us," a Democratic consultant recently told The Hill. "There are so many tools at our disposal, so many different venues to reach mass audiences beyond earned media alone, and we're going to see every campaign trying to out-innovate the others." 5) INTERVIEWS ARE JOURNALISM, PEOPLE. Kamala Harris under cross-examination produced all sorts of headlines, many of them unflattering—about abolishing private insurance plans, about her controversial record as a prosecutor, and so on. The June 2016 CNN town hall featuring Libertarian candidates Gary Johnson and Bill Weld (which drew "good but not great" ratings) generated controversies that reverberate to this day. Joe Scarborough's exchange with Rep. Tulsi Gabbard (D–Hawaii) on MSNBC this week added dimensions to the foreign policy component of 2020 that we had not yet previously experienced. Cable TV is the easiest target in the political-media ecosphere, but that doesn't mean the engagements there between journalists and candidates definitionally lack value. Let's have more of them, not less, and stop treating the airwaves of a number-three news outlet like some kind of faberge egg that needs to be protected and displayed just so, in the name of protecting democracy.